The real surprise for me...yes, still, after all these years...is my influence. I have to admit, I find the label of influencer at best to sound very odd, and sometimes a bit overwhelming at worst. Did I set out to achieve some sort of influencer status? No. Is there now pressure to be an effective influencer? I think so...at least it feels that way sometimes. "For leaders, influence is good. It's powerful. It's a way to motivate, inspire, change cultures, and make a difference. We're supposed to influence others around us." So why does it still feel a little awkward to be labeled an influencer when I know it is part of who I am supposed to be? Feedback is a powerful tool, particularly if the one receiving the feedback is willing to actually listen and accept. For me, the listening part is usually pretty easy (even if it's not what I want to hear); but the accepting part is an entirely different story. Part of my development as a leader is to accept and embrace the idea that I have influence in my organization (and maybe a little bit beyond my company too.) Guess what? You do too! There is a responsibility that comes with that, at least the way I see it, and I'm learning to accept that as well. While it may seem like the role of influencer comes naturally to some people, for me that's not the case. Being high energy, and aspiring to be an influencer are not necessarily automatic. But I'm learning to leverage those two pieces...and am getting more comfortable each day. Do you realize how much of an influencer you are to those around you...to your organization...to those watching your leadership from hundreds of miles away? It's happening for all of us who have decided that leadership means a lot more than a job title and a nice office. It means embracing the role of influencer, and all of the possibilities that come with it. Now I'm fired up for what's next! The world of work, and more specifically, professional leadership, has evolved quite a bit over the last few decades. The new norms that address behavior, equal treatment, political correctness, and a general sense of decency have all made positive inroads in our work lives. For HR leaders everywhere the changes listed above are a welcomed step forward. So many hours are wasted each year addressing juvenile behavior from leaders who believe their job title or advanced academic degree gives them license to be an absolute buffoon. Helpful hint: Buffoons are losers, not leaders. The changes above should mean that other areas of business also move past traditional stereotypes of responsibility and reporting as well. Let's examine two of the most common urban legends that many organizations continue to believe. Over the years I've been asked countless times about the turnover woes of various departments in the organizations where I've worked. The interest is well-intended and sincere, but is usually misguided. Quite simply, I don't lead the team where the turnover rate is high. I haven't set the example in those departments, nor have I role-modeled the behavior that I want the other team members to replicate. I can ask questions...I can learn a few facts...but I honestly cannot speak to another department's turnover because I do not lead that department. Yet, human resources is so often "responsible" for turnover. That simply no longer applies in the modern world. "The assumption that HR is responsible for culture is one of the biggest leadership failures of our time." I'm serious. If an organization is going to assign culture to a department, it needs to forget about improving culture and resign itself to the fact that it's competition is about to recruit away their talent and annihilate their market share. Culture is every leader's responsibility...and ultimately every team member's as well. Culture speaks to "the whole thing" and candidly HR is not the whole organization. So how in the world can one department be responsible for it? Employee engagement surveys, recognition programs, and other forms of interactive initiatives with employees may begin in the human resources department, but it is the leadership team that executes those programs. Only leadership can drive culture...not a department. Are you still feeling the pressure to "manage" the turnover and culture in your organization? If so, it might be time to let the other members of the leadership team know that they are failing...miserably. If it's too much to tell them yourself...it's probably because the culture isn't quite where it should be. Imagine that? This won't sound all that exciting, but I took a ten minute walk to think through what was going on in my head. Interestingly enough my self-talk was not based on "bad" things, in fact it was quite the opposite. I wasn't upset, or stressed, or worried. It's just that I've been managing a fairly full plate lately and it seemed like a good idea to just think for a few minutes. Hmm...when was the last time you took a few minutes to just think about the issues going on in your world? Like most of you, I live and die at the whim of my calendar. Although I do my best to manage my time effectively, the reality is that I have a demanding job that keeps me running most days (read here --> my days can be chaotic!) The adrenaline junkie in me absolutely loves the pace, but where I fail myself is not allowing for any time to process all of the issues I need to manage. I'm not willing to declare that I am good at processing what is going on in my world. What I can say, is that my ten minute investment in myself...my work...my life...yesterday afternoon was a success. I'm learning to appreciate the power of processing, and what it can do on many levels. The ability to disconnect for a few minutes. The opportunity to remove the pings, rings, and reminder dings of our various devices that seem to go off all day. The chance to think through important issues and feel good about where you're headed. 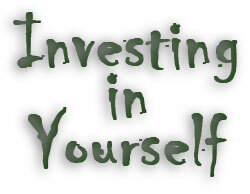 Do you have ten minutes today to invest in yourself? I'm going to find the time again, whether I believe I have it or not. That ten minutes might just make the rest of your work day ten times more productive. Over the years I've learned a lot about leadership, usually through my own missteps. In order to stay current and embrace the notion of being a lifelong learner, I've read (and continue to read on a daily basis) many articles, blog posts, and an occasional book to put in the effort to improve. I would hate to think that I come across as someone who has "figured it all out" and doesn't need to push myself to be contemporary. One of the most important pieces of my learning journey is that all of the books, posts, and articles in the world can not replace the most important part of leadership --> action. We've all heard many leaders talk a good game in the conference room or private office, but when it comes time for execution they wither and fail. Why is it so difficult to take the next step and move from theory to execution? For me, it comes down to one basic competency that many leaders lack. They struggle so mightily with this one skill that they will do whatever is necessary to avoid stepping up and taking action. The fear of confrontation is what stands in the way of good leaders becoming exceptional ones. The ability to look another person in they eye, decisively explain what the issues are, and move forward is a major stumbling block for so many. Something incredible happens when we take the next step and address issues in the workplace. Issues get resolved. I'm not being flippant here...I'm very serious. The team of employees around you is watching to see if you will handle the problems or not. When you don't...when I don't...our credibility is compromised. After all, who wants to follow a leader who isn't willing to deal with the difficult issues? That's why overcoming the fear of confrontation was so important for me early in my career. Is it easy to confront someone? No! Is it a pleasant experience? Absolutely not! Is it necessary if you are going to be a legitimate leader and not just an empty suit? Yes! Which leaders do you see in your organization that are struggling with confrontation? Have you reached out to coach them, support them, and let them know that it is difficult but you'll be there to help them through it? That's our job after all, isn't it? There is a certain energy that should come from serving in a leadership role. For leaders who have broken through to a high level for the first time it can be downright exhilarating. The organization trusts you to make major decisions that will affect anywhere from a handful to potentially thousands of employees. With that role comes an unbelievable amount of automatic trust, pressure, and responsibility to do the right thing. What happens when that new leader suddenly realizes that he or she may not necessarily appreciate some of the points of view on their leadership team? What if the inner circle isn't filled with a team of agreeable bobble heads that hang on every idea and phrase as if they were the most insightful thoughts ever uttered? To be fair, I am a big fan of change. I've had to reinvent my own style of leading and getting work done over the last four years because the world around me changed. It was my responsibility to reinvent myself in order to remain current. However, there is danger when we raise the drawbridge and surround ourselves with a smaller and smaller team that is saddled with the responsibility of executing our grand ideas. Is it realistic for a team of less than four or five to manage thousands, or even tens of thousands of employees? You know the answer. Yet time and again it seems a small group of leaders (who are incredibly isolated from the front line) convince themselves they know what is best for the whole company. There is danger in arrogance...and an ever smaller inner circle could be considered the epitome of leadership arrogance. Where is your leadership visibility? How accessible is the leadership team...really...when so much time is spent behind a mahogany door deciding "what's best" for the institution? Where is the action that backs up speeches that espouse transparency? 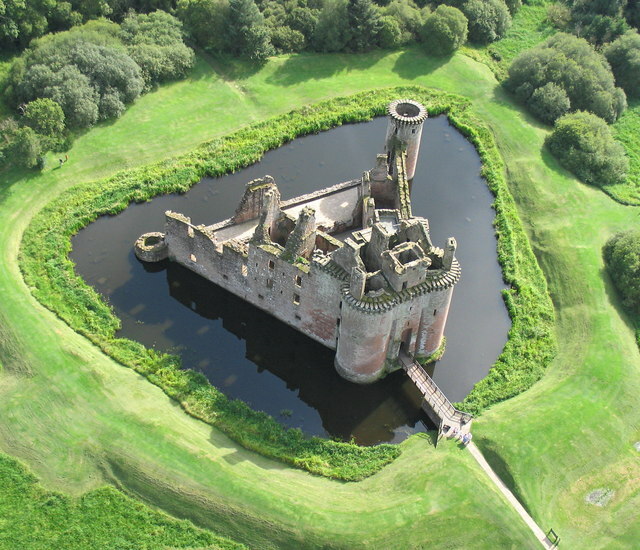 It's time to lower the drawbridge and lead among our teams, not over them from the balcony. Today I'm thinking about my impact. Effective? Weak? Do I believe my self-talk? Maybe I haven't really considered the possibilities before me because I haven't risked going far enough? I'm probably just too comfortable where I am. Have you taken the risk and pushed yourself farther than you ever thought you could...only to realize you made a difference that you never thought was possible? The common "honeymoon period" for new leaders is one that the shrewd among us seize upon, and for good reason. The window of opportunity for change is usually the greatest during this transition time. The most latitude is afforded during the honeymoon, new team members are willing to go along with fresh ideas, and in turn give the new leader a chance to succeed. "Perhaps the honeymoon period is the only time most leaders have a chance to affect real change because they struggle so mightily to inspire others once their true leadership style emerges." So how does one inspire others exactly? Is it through a series of ideas? 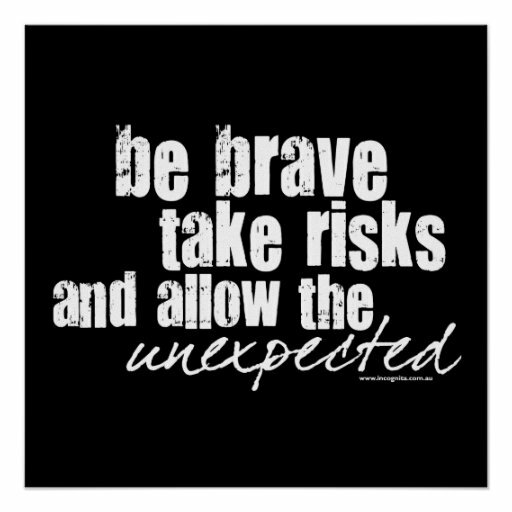 Is it creating a culture that energizes the team to take risks and think big? Is it demonstrating a willingness to trust others and allow them to take ownership for the work that gets done instead of micromanaging every detail? The answer of course is yes! With so much written about leadership behaviors, so many leadership development sessions being held, and a long list of assessment tools available to us all, how is it that the promise of the honeymoon could end up crashing down on the team? Maybe the answer can be found in the selection process? Perhaps we don't intervene early enough to head off a disaster? Or maybe we just don't want to admit that a mistake has been made so we tolerate behavior because that is "just how they are?" Perhaps we're not as strong at leading as we thought? Who in your organization has fallen from grace? Do you even realize the full impact? Unless you invest the time to create a safe environment for those affected to open up to you, the truth will remain an elusive target. How much of your culture will be destroyed while you take the typical "wait and see" approach; or, worse yet, wait for someone else to arrive and clean up your mess?